1979: Sensei Brett Correia started training in Karate Do in Clovelly (aged 8). Later the same year he started training under the founder of Kenpo in South Africa, the late Sensei Brian A Wiehahn (6th degree black belt). 1982/3: Training then took moved to the community centre in Woodstock. 1988: I was a first degree black belt under the American (IKKA) system of Kenpo karate, issued by TAMA (South Africa). 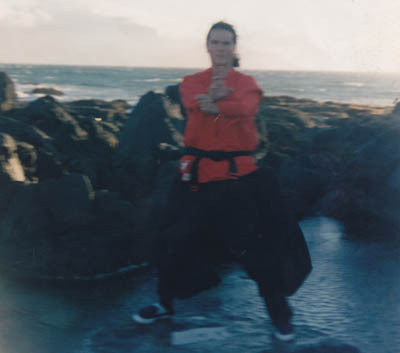 1993: I attained my 2nd degree black belt. 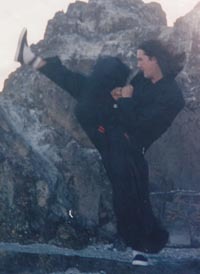 I then started training in the Chinese Kenpo syllabus (IKCA Chuck Sullivan and Vic Le Roux) under Sensei Brain Wiehahn. 1995-1997: I trained with Sensei Geno Cupido (Chinese Kenpo) at Grassy Park (Kannemeyer Primary School -3rd Ave, Grassy Park dojo) and Gilray Scouts Hall, Grassy Park. 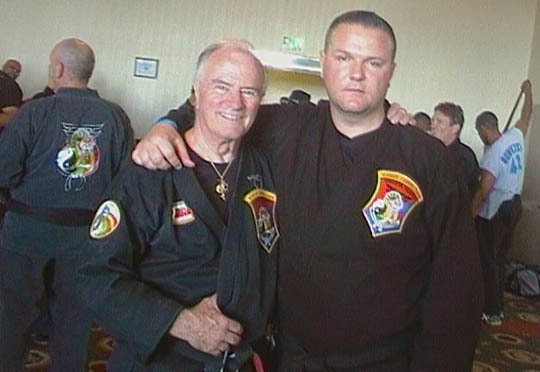 1997: Before Sensei Brian Wiehahn’s passing, I was awarded my 3rd degree Black belt . In April 1997, Sensei Brian A Wiehahn was tragically shot and killed at his home, a father figure for 18 years in my life has passed away. 10 months later (FEB 1998) I witnessed the tragic death of my pregnant fiancé. With the passing of Sensei Brian Wiehahn TAMASA fell under the control of current TAMASA head 6th degree sensei Cobe Jephta. I moved out of the Bergvliet area to Table View and my formal karate training ceased. 1998-2006: I was to continue contact with TAMASA, attending various competitions, participating in the occasional grading, attending annual prize giving events and Gasshuku and giving input into marketing and administrative matters. During my absence from active training in Kenpo Karate I was employed in the security industry in various capacities. I trained in close protection, advanced driving, unarmed combat and attained my LEVEL 4 (close protection paramedics). I also trained informally in Aikido and Jiu Jitsu. 2009: I launched the TAMASA Face book group. 2010: I set about constructing the first official Kenpo karate website with ASHIHARA ONLINE web design. 2011: I set about reaffiliating to the IKCA(USA) under YUDAN's and ED Parker 1st generation black belts SGM Chuck Sullivan and GM Vic Le Roux. In partnership with Sempai Timothy Lotter we run the PERFECT WEAPON dojo in Tygervalley (KENPO KARATE SA). I am the joint 2nd highest ranked Kenpo martial artist under TAMASA in South Africa and the longest serving currently. 2011/AUGUST:I travelled to an international Kenpo Karate Black Belt conference in Los Angeles attended by 200 Kenpo black belts from around the world, where i trained with MIke Pick (Yudan),Dan Inosanto (Bruce Lee's successor and head of Jeet Kune do), Dan Maher (6th Dan UFC champion)I had the honour of spending time with IKCA founders Chuck Sullivan and Vic Le Roux both YUDANS. 2011: I was appointed Western Province additional executive member as well as Western Province Full Contact Manager. 2010: I joined forces with Sempai Timothy Lotter at Tygervalley Dojo (Perfect Weapon). 2012: was awarded 4th degree black belt by Sensei Cobe Jephta, I will however not accept any dan promotions until i have been certified as an instructor by the IKCA.